Muskegon, MI (May 12, 2018) –West Michigan Community Help Network is proud to announce the annual Thurgood Marshall Job & Resource Fair coming to the Bishop Williams L. Burrell Multi-Plex Center on May 15, 2018 from 12:00pm- 4:00pm. 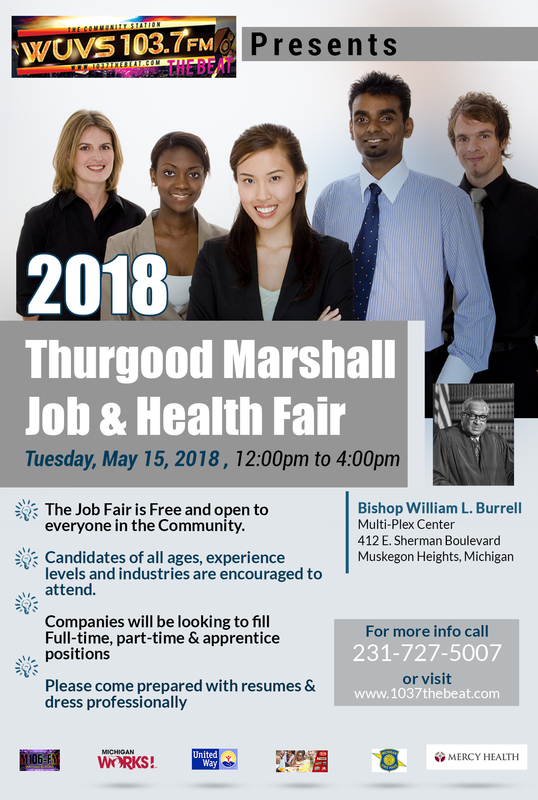 The Thurgood Marshall Job Fair is a public service made possible by a unique partnership of organizations with an interest in promoting economic development in the Muskegon area. This is a free event opened to the public. A free health checkup will also be provided by Healthcare Inc. The Thurgood Marshall Job & Resource Fair is hosted by the West Michigan Community Help Network in partnership with WUVS 103.7 the Beat, WMMT 106.1 Motown House/EDM, Tyson Foods, West Michigan Works, Mercy Health, Michigan State Police and United Way. The fair is working with community groups, students, churches, non-profits, senior citizens and other public and private groups who are seeking to find jobs for people with fairness for all, regardless of Race, Creed or Color. Residents with diverse backgrounds and experience are expected to attend the job fair. Candidates of all ages, experience levels and industries are encouraged to attend. Companies will be looking to fill Entry-Level to Management Level positions, as well as, full-time and part-time positions. Computers will be on site for online applications courtesy of TCS Computers. Come explore local job opportunities and meet potential employers. Some of the county’s top companies will participate this year. For all Press/Media inquiries please call 231-727-5007. (WMCHN) is a 501(c) (3) nonprofit organization created in 2000 offering a variety of programs that serve community members of every age and background. The WMCHN is committed to the community and programs such as the Student Mentorship Program, Feed the Needy Program, Peace Jam Festival, Anti-Gang Initiative and more. We focus on leadership, education, and community development. 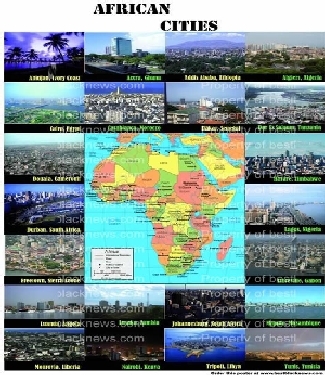 ← HONOR ROLL STUDENTS FROM MUSKEGON TO EMBARK ON TRIP TO AFRICA.